This volume provides a comprehensive and in-depth analysis of the security discourse of Chinese policy elites on the major powers in East Asia in relation to China’s self-perception as a rising power. It is the first book-length study that utilizes International Relations theories systematically to analyze Chinese security perceptions of the United States, Japan and Russia, and the debate among Chinese international relations specialists on how China should respond to the perceived challenge from the major powers to its rise to a global status. 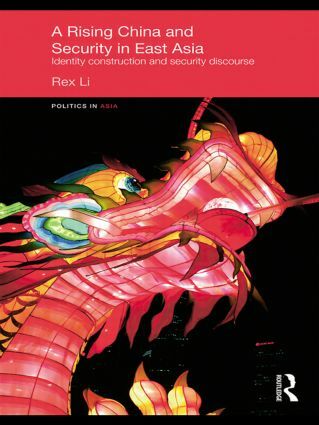 Rex Li argues that the security discourse of Chinese policy analysts is closely linked to their conception of China’s identity and their desire and endeavour to construct a great power identity for China. Drawing on extensive and up-to-date Chinese-language sources, the study demonstrates that Chinese elites perceive the power, aspirations and security strategies of other East Asian powers primarily in terms of their implications for China’s pursuit of great power status. This new work will contribute significantly to the on-going academic and policy debate on the nature and repercussions of China’s rise. This book will be essential reading for undergraduate and postgraduate students and scholars of Asian security, China’s foreign relations, security studies and international relations.